Youth injured and evacuated to the hospital during tryout for elite combat unit. 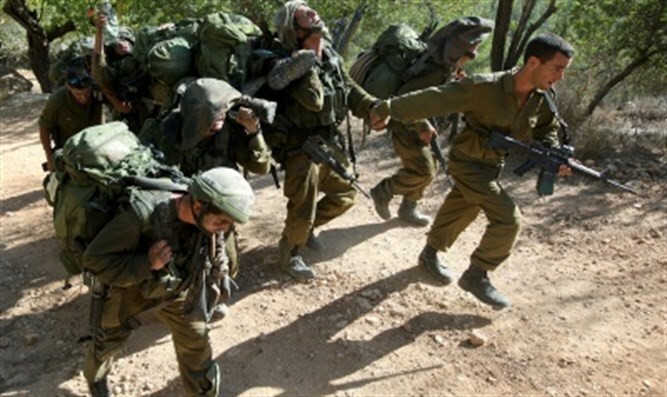 Soldiers carry stretcher in training. A youth, a candidate for the security forces, was moderately injured Sunday morning during the selection tests for an optional combat unit. The IDF Spokesperson's Office said that the injured boy was evacuated to the hospital for medical treatment and that his family had been updated. It should be noted that this is not the first case of injury during the days of testing conducted by the IDF for elite unit candidates. In May 2017, a boy was injured during the selection process for combat duties in the navy. The boy was evacuated to Rambam Hospital in Haifa with a serious head injury.